Retirement usually means many things for people: they are getting to the later stages of their life, they have successfully worked long enough to prepare a nest egg for themselves, and they are looking to explore new avenues and spend more time doing the things that they love with the people they care about. However, in today’s increasingly uncertain economy, not everyone has the ability to save up enough money to invest in retirement. 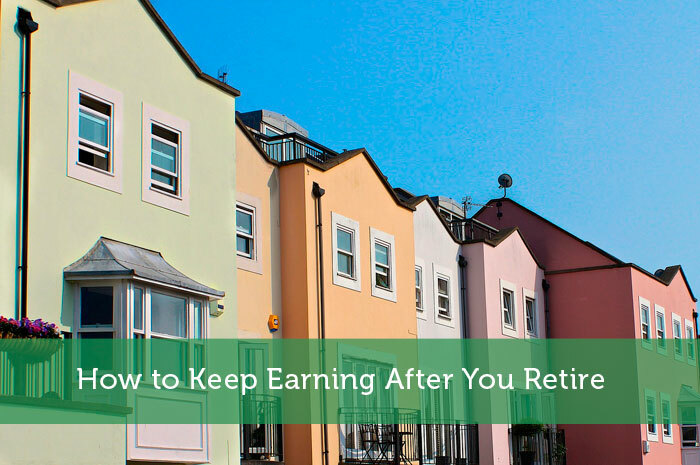 For this reason, many people are looking into how to keep earning after you retire. One of the best ways to be a wealth planner is to invest in property. With the right strategy and excellent timing, you will be able to invest in property that helps you keep making money so that you can ensure that you are able to retire comfortably and do what you want to do in your golden years. Those wondering how to keep earning after you retire through property investments have to take small steps into investing, especially if they are unfamiliar with the real estate markets in which they want to invest. For example, think about whether or not you would like to invest in your area or in another part of the country that might have a more lucrative real estate market. While you might be able to turn more of a profit for property that is located in a different city, remember that managing property that isn’t in your home city or state can bring up many logistical problems. You also have to think about the type of investment that you want to make. Are you looking for a long term investment property that you can rent out for a long time, or would you prefer to hold onto it just long enough until the market changes and you can turn a sufficient profit? Other people decide to purchase investment properties in Melbourne as a second home that they can use while vacationing or to allow friends and family members to stay in. Whatever the case may be, the first step when thinking about how to keep earning after you retire by making wise property investments is to ensure that you have a strong sense of your goals. You should be able to understand exactly what type of property you want to invest in, what type of place, and how long you want to keep it. After coming to a decision about your investment property strategies, your next step is to learn as much as you possibly can about the market and the areas where you want to invest. There are lots of online resources that you can use to help in this regard: be sure to check the listings for properties in the same area that you are looking to invest in, and see what the trends have been like. There are also historic charts and trend patterns that you can take advantage of, if you decide to use a more sophisticated tool for real estate. Once you have done enough research you should be able to narrow down a few places that fit the ideal profile for your real estate investment. Your next step is to visit the properties that you are interested in, if possible. Even if you are investing out of state, taking a trip to the property is not a bad idea if you can afford it. Seeing it in person will help you get a feel for what type of condition it is in and notice any potential problems that the seller might not have included in the original listing. Be sure to ask the selling agent or owner plenty of questions so that you can learn as much as you can about the property. This is also a good time to collect information so that if you decide to put in an offer, you can have a stronger negotiating position with the seller. Retirement is a goal for many people, but not everyone will be able to afford a comfortable, enjoyable retirement without having to work to make a living. If you are considering how to keep earning after you retire so that you can have a steady income without having to spend your golden years putting in hours at a full time job, property investment can be a great choice. Make sure that you learn all that you can about the kinds of properties you are considering so that you can do a better job of finding the perfect investment. Author bio: From a young age, Jason has been passionate about property investment. As the director of Alliance Corp, Jason now shares his passion and expertise in the field to help everyday Australians build successful property portfolios. Jason’s blog on the Alliance Corp website offers exceptional advice for beginners and experts in investment. You can read it here. I thought this was going to be about having a job in retirement. Having property income seems like a much more attractive option to me! I think this is a great idea and have invested in rental properties already. Today, I am also building my online “property” (websites) that will continue to generate cash flow even after I am retired. Definitely considering this one. Even now that I’m not yet retired, I do not want to work anymore! This is my exact plan. I am not hoping but planning on owning rental properties so I can throw my feet up from the 1st to the 5th and count my coins. Great read as usual. The worst thing that can happen in retirement is to run out of money. That’s what makes saving for retirement so difficult because you don’t know how long you’re going to live. The only way to really ensure that you won’t run out of money is to develop income streams that will feed you with continuous funds. Uh, if you are working in retirement, then you are not retired. You may not be employed any longer, but you are not retired. And people really need to understand that owning rental property involves a lot more than sitting with your feet up while the coins roll in. (Sorry, Petrish, above). Personally, I would never invest in pepper I haven’t seen with my own eyes. There are too many people in the real estate purchase process for their incentives to align with your goals. Even a buyer’s agent might not be aligned with your objectives. So always always see the property with your own eyes, and always remember that you are the only person in the process who is incented to protect your interests.